Customers have always looked for low-cost, perfect quality, and immediate availability. Increasingly, though, customers want all of that for a configured, customized or unique product. Typically manufacturers can offer one or two of those, at the expense of the others. Cost, quality and speed were seen as tradeoffs. For a custom product, you might get quality, but almost never low cost or rapid delivery. - With fewer people and more automation, companies can make decisions more rapidly and keep efficiency high. Automation also tends to keep quality high, and that's an area that further boosts efficiency. - With a focus on high mix, small lots, and even one-off manufacturing, Industrie 4.0 brings agility to the next level. When products know their own specifications, it accelerates processes throughout production processes. - Since Industrie 4.0 production lines are made to accommodate high mix and low volumes, they are ideally suited to new product introduction and experimentation in design. 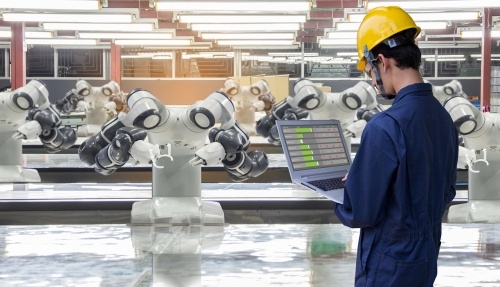 The extreme visibility from IIoT feeds at intelligent products and equipment enables deeper understanding of what works in both product and process design. - The responsiveness and deep information availability available with Industry 4.0 mean manufacturers can give customers better service. In some cases, self-service views into the operation may be possible. Detailed, yet in-context, data from MES can be a foundation for quickly resolving issues between customers and manufacturer. - While Industrie 4.0 will require initial investments, once the intelligence is built into products and processes, the costs will plummet. Fewer quality problems lead to less material waste, lower personnel and operating costs. The speed and ability to handle such a high mix seamlessly will also lower costs. 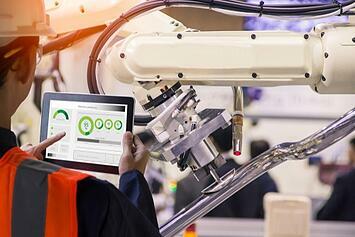 - With better quality, lower costs, higher mix, and the ability to serve customers well, Industrie 4.0 puts manufacturers on a path to be a preferred supplier to current customers. It also opens up ways to serve larger markets, offer customized and thus higher-margin products, and with intelligent products and operations to offer services to accompany the products. - Adding even more new technologies can drive benefits to the next level. Companies that can have a digital twin of their operations will benefit from all the additional monitoring, control and optimization. The ones that can truly leverage big data/machine learning will see patterns to predict and avoid problems. - Manufacturers who undertake the decentralized intelligent production approach of Industrie 4.0 are the ones that will be able to compete profitably in the most demanding global markets. The others won't.